The Sartorius Miras 2 Bench Scale was designed in Germany by the world renown Sartorius Engineering Group to provide superior accuracy and performance for today’s contemporary laboratories and industrial settings. Parts counting program, portability with six "D" Cell operation, check-weighing program & more. Versatile comes to mind when you're talking about the Miras 2 bench scale. The Sartorius Miras® is a unique Multi-functional line of industrial bench and floor scales. 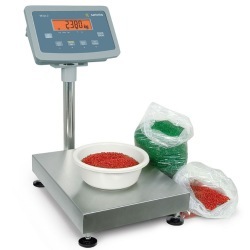 Built-in overload & wash-down protection, portability (with optional castor wheels), and easy to use functionality make this affordable line of scales a winning combination. Weighing capacities range from 13.2 lbs (6 kg) to 660 lbs (300 kg) in three different platform sizes. 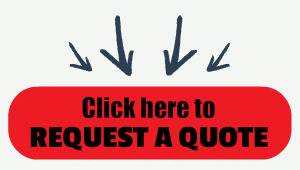 Manufacturer guarantees performance only to 15,000 divisions. Miras® platforms are equipped with painted steel frames and removable stainless steel weighing pans for years of dependable service and easy cleaning. With Miras® indicators, users can deduct and store the weight by pressing the tare button repeatedly, up to the scale’s capacity, and can then toggle between gross and net weight. This function is ideal for weighing multiple ingredients for formulation purposes. Place a container on the platform and press the tare key. The tare is automatically stored in memory and the net weight is displayed. The user can easily toggle the display between gross and net weight by pressing the Gross | Net key.